The AMR-100 Microplate Reader, with a wavelength range of 340–750nm, is a high-performance solution for a wide range of applications, including immunoassays with colorimetric substrates, such as ELISA, and protein assays such as Bradford and Lowry. It is designed for applications within the clinical, biotechnology research and pharmaceutical laboratory. The AMR-100 can be used as a stand-alone reader or be controlled by a PC or a PAD with Android system.The AMR-100 Microplate Reader, with a wavelength range of 340–750nm, is a high-performance solution for a wide range of applications, including immunoassays with colorimetric substrates, such as ELISA, and protein assays such as Bradford and Lowry. It is designed for applications within the clinical, biotechnology research and pharmaceutical laboratory. The AMR-100 can be used as a stand-alone reader or be controlled by a PC or a PAD with Android system.The AMR-100 Microplate Reader, with a wavelength range of 340–750nm, is a high-performance solution for a wide range of applications, including immunoassays with colorimetric substrates, such as ELISA, and protein assays such as Bradford and Lowry. It is designed for applications within the clinical, biotechnology research and pharmaceutical laboratory. 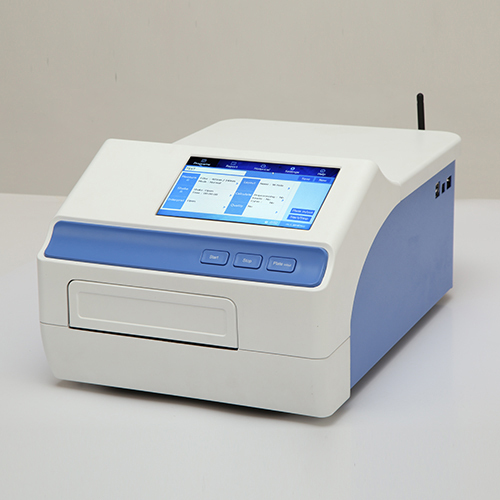 The AMR-100 can be used as a stand-alone reader or be controlled by a PC or a PAD with Android system.The AMR-100 Microplate Reader, with a wavelength range of 340–750nm, is a high-performance solution for a wide range of applications, including immunoassays with colorimetric substrates, such as ELISA, and protein assays such as Bradford and Lowry. It is designed for applications within the clinical, biotechnology research and pharmaceutical laboratory. The AMR-100 can be used as a stand-alone reader or be controlled by a PC or a PAD with Android system.